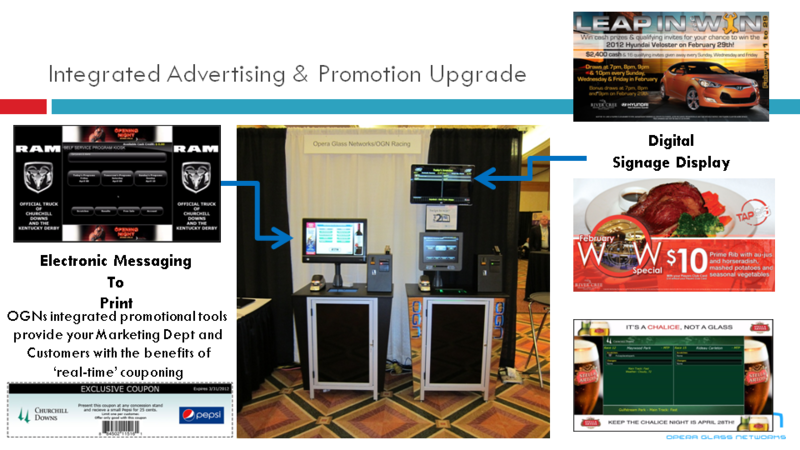 A strong Program Kiosk solution is critical to the successful transition to self service program delivery and on-demand printing. What happens at the point of sale is the moment of truth. It is your opportunity to make a lasting customer impression. OGNR understands the pitfalls and challenges of Program Kiosk rollouts and will help you mitigate the risks of transition while maximizing your return. © Copyright 2012. Opera Glass Networks.